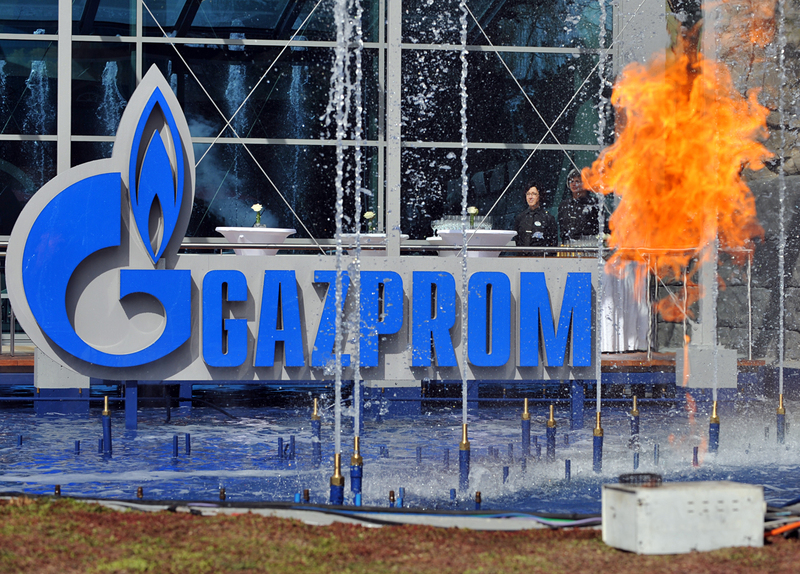 Gazprom could gain full access to the European gas pipeline, which connects Russia's Nord Stream gas pipeline with the Czech Republic and Germany, for the first time since its launch in 2011. The European Commission has given Gazprom permission to use 50 percent of a pipeline connecting its Nord Stream pipeline with the Czech Republic and Germany. Gazprom will now be able to increase gas supplies to Europe, bypassing Ukraine, as well as to reduce the costs of transportation. The European Commission has authorized Russian gas giant Gazprom to use the Opal pipeline linking its Nord Stream pipeline with the Czech Republic and Germany. The European Commission has decided to exempt 50 percent of Opal's capacity from third party access rules, which limit the energy producing companies' control over distribution networks, according to a press release on the EC website. Gazprom could thus gain full access to the European gas pipeline, which connects Russia's Nord Stream gas pipeline with the Czech Republic and Germany, for the first time since its launch in 2011. According to a Wall Street Journal source, Gazprom now reserves the exclusive right to use 50 percent of Opal's capacity, while another 30-40 percent will be put up for auction, in which the company will be able to take part. At the same time, according to Igor Yushkov, an expert from the Russian National Energy Security Fund, there are no contenders for Opal now apart from Gazprom, and the transfer of control is simply "veiled by auction." Gazprom may well reach Nord Stream's full capacity, said Yushkov. He stressed that some of the gas is sold immediately to European consumers on exiting the pipeline, before even entering the Opal pipeline. The increase in these supplies will affect the volume of gas being carried by Nord Stream. However, the EC's decision itself does not solve the problem of using Nord Stream's full capacity, said Alexei Kalachev, an analyst at Moscow investment company Finam. "[The Opal pipeline's] capacity is 36 billion cubic meters of gas per year, while Nord Stream's capacity is 55 billion cubic meters per year, and the construction of Nord Stream 2 with the same capacity is on the way," he explained. The increase in supply through Opal could result in savings for Gazprom ranging from $300 to $400 million, Yushkov calculated. "Under the contract with the company Nord Stream AG, the ship-or-pay rule is applied, according to which Gazprom paid for some of the pipeline's capacity, but did not use it," he explained, adding that the fee will remain the same even with the increase in gas volumes being transported by Opal, meaning the price of every billion cube meters pumped will decrease. Will Ukraine be left without Russian gas? The EC's decision has made Nord Stream a more attractive option for Gazprom than transit through Ukraine, Yushkov said. According to his calculations, Ukraine will lose about $250 million a year because of this. However, on the same day, Oct. 31, the French energy company Engie signed an agreement with Ukraine on the transfer and storage of gas. According to Engie's statement, the document will enable the company to use underground gas storage facilities in Ukraine, starting from this winter. Engie also plans to become an active player in the Ukrainian gas market and will create a subsidiary on its territory, the report pointed out. "This agreement may be associated with the EC's decision in the sense that Europe wants to be safe before the heating season," said Yushkov. "Nothing prevents Engie from buying gas from Russia and storing it in Ukraine as a reserve," he added.